As a bicycle and pedestrian accident attorney in San Francisco I’m thrilled to see how the city genuinely seems to be supporting its commitment to decreasing and (possibly) even eliminating traffic deaths by 2024. The city had previously fast-tracked thirty precisely targeted projects to address “danger zones” identified by crash and accident data as a preliminary part of its Vision Zero initiative. 24 of these priority projects have already been completed–several months ahead of schedule. This efficiency showcases, officials say, their commitment to the project and the urgency with which they are dealing with the public safety crisis. Indeed, San Francisco Mayor Ed Lee said in a statement to the press that “We completed our high-priority Vision Zero projects ahead of schedule, and we’re not stopping there,” suggesting that later phases of the program will be tackled with similar gusto. 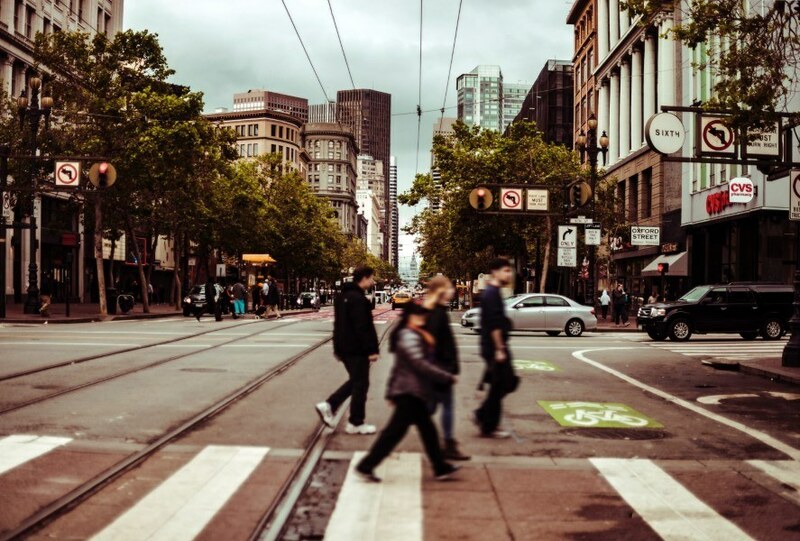 In 2014 San Francisco joined several other cities across American and countries throughout the world in pledging to eliminate traffic deaths by 2024. The pledge was made as pedestrian, cyclists, and motorist deaths were climbing and legislation and enforcement just weren’t slowing them. Vision Zero takes into account the total picture—engineering, education, enforcement, and legislation—in order to provide a comprehensive treatment program for the deadly disease that our city has been suffering from. For the time being the city has been focusing their efforts (and money) on the 12% of city streets responsible for over 70% of all severe and fatal traffic accidents. One of the most dangerous was Market Street. It had one of the deadliest stretches of roadway and two of the most dangerous intersections in San Francisco for personal injuries like bicycle and pedestrian accidents. The street was recently redesigned with turn restrictions, redirected traffic flow, and an added two-block-stretch of raised bike lane. What Else is the San Francisco Mass Transit Authority Actually Doing? While many of these changes (including the painted safety zones) may seem ineffective initially, the city is predicting that results (decreased accident numbers) will appear almost immediately. In fact, the Department of Public Health credits a Vision Zero marketing campaign called “It Stops Here” with increasing the number of vehicles yielding to pedestrians by 3.2 percent already. As a San Francisco pedestrian accident lawyer, I have just seen too many avoidable accidents. Hopefully, these little changes will help tip the scales. So what can pedestrian safety advocates look forward to in the future? Create online databases open to the public to house Vision Zero statistics and reporting. More specifically, the city has agreed to restrict turns on popular thoroughfares in Lower Haight, add more green lanes, and a new bicycle signal light in the area. Additionally portions of Masonic Avenue, Second Street and Polk Street will undergo major reconstruction to make them safer for cyclists and pedestrians. We’re not out of the woods yet. I help clients who have suffered crippling injuries during bicycle accidents in San Francisco every day and know that for a real change to take hold the city will need to embrace this Vision Zero policy completely. However, to witness these physical expressions of genuine concern warms the heart of this somewhat cynical Bicycle accident lawyer in San Francisco.